This post is mostly for my fellow first year Creative Communications students - but the rest of you can tag along! This Monday we're submitting our Independent Professional Project (IPPs) Proposals, pitching ideas for a creative project we'll conduct on our own (thereby proving our CreComm chops) between now and March 2013. These projects can take many forms - writing a novel, filming a documentary, hosting an event, creating a blog - so long as there is an end product that is marketable. A number of these projects will involve acting (especially television pilots and radio dramas). And if you're a colleague considering such a project, I want to encourage you to use trained actors - people who have built up film and theatre acting skills through experience and education. They've learned how to use their bodies and voices to communicate rich, nuanced stories. Your IPP will be better off if you use trained actors. Why should I use actors when my friends can fill the parts for me? Can't everyone act? Yes, your project might be easier to schedule if your friends fill roles. And yes, everyone can act. Some people are naturals at getting into the mindset of imaginary characters (it's easier if the character isn't that different from their regular persona). But good acting usually requires practice and instruction. Voice training helps actors deliver lines clearly, playing with the nuances of your script. Film classes teach actors how to fill a camera lens with just the right amount of action and expression. And acting instruction helps actors become emotionally available, so when they pick a fight, lose a lover, hug an alien - when they perform whatever made-up scenario you've created for them - they're able to act the part honestly and make it seem "real." So yes, it's less work to fill the roles with your friends. But your final product won't be the professional, feather-in-your-portfolio that it could be. Really? Didn't you do streeters? This is way easier, because (and here's an industry secret) actors like being asked to act. They may turn you down (for whatever reason) but there's no actor who doesn't like being offered work. Won't it be a problem that I can't really pay them? This will be a sticking point for a number of professionals - especially established pros who have already joined Equity (stage actors union) and Actra (film actors union). BUT there are a number of up-and-coming actors looking for chances to hone their skills. Some professionals might also be up for it if they're attracted by the material in your piece. The key is to keep the time commitment low. If you only need them for one day of filming, you can probably trade their services for food and drinks. Radio plays usually require even less time to produce - a couple hours of rehearsal, then another two hours of recording (depending on the length of your script). Another bargaining chip you can use is the promise to provide actors clips for their demo reels (or just 'reels'). Like CreComm students, actors build professional portfolios. If you can give them a nicely edited clip that shows off their acting prowess, they have another arrow in their quiver to snag future gigs. Head into rehearsals/performances with all your planning done and use your team's time wisely. And you're golden. Okay, this doesn't sound too bad. So where do I find actors? I kid, I kid. Here's a list of places you can go to find actors for your projects. Both the University of Winnipeg and the University of Manitoba have programs training actors for stage and screen. Print up some audition notices (more on that later), attend the shows they put on, call up their administrators (both helpful people). Students tend to be very early in their careers (shocking, I know) and are looking to build up their reels. There are a few places in town where actors can go to be tutored by seasoned pros (mostly for film acting). Jeff Skinner runs the Actors Training Centre of Manitoba, Darcy Fehr runs The Acting Studio Winnipeg, and Onalee Ames runs Onalee Ames Film Studio (sorry, website in development (?) but a google search will bring up the phone number). These are the ones I'm most familiar with; I'm sure there are others. Give them a shout and see if they'll mention your project to their students (or recommend any of their pupils). Prairie Theatre Exchange runs a good school, with a wide variety of classes taught by local professionals. Their students range from 10 to 70 years old, so you might be able to connect with some hard to find child/older actors. Manitoba Theatre for Young People also runs a theatre school for 5 to 18 year olds. Remember; you'll need to get parents permission to film their children! Local actors run a Facebook page to publicize auditions. Post away and let social media overwhelm you with its majesty. If only there was a theatre festival filled with local actors where I could scout out emerging talent. There is! The Winnipeg Fringe takes over the Exchange District from July 18 to 29. Tickets to see a show are cheap ($10, usually additional discounts for students), local companies are noted in the Fringe guide and if you wait 15 minutes after the show ends, all the actors will emerge and head for the beer tent. Accost them in person or send them a follow up email (the Fringe website will post links to all companies that have sites). Remember - actors are susceptible to flattery. It's thespian kryptonite. I'm sure I'm missing some good ones and I apologize (Please put down your pitchforks and torches; we both know they're just prop versions). Send these companies an email or phone call, asking them to notify their regular actors about your project. Now that I have all these fabulous places to look for actors... how do I hire the right ones? You hold auditions; the actor-ly version of a job interview. First, create an audition notice (here's an example for an Arthur Miller play). List all the details of your project; what it is, when it's happening, where it's going down, etc. List the expected time commitment. Then list all the characters and provide descriptions (not too long; provide some good demographic details and key character points). Give your contact information so interested actors can get in touch with you. 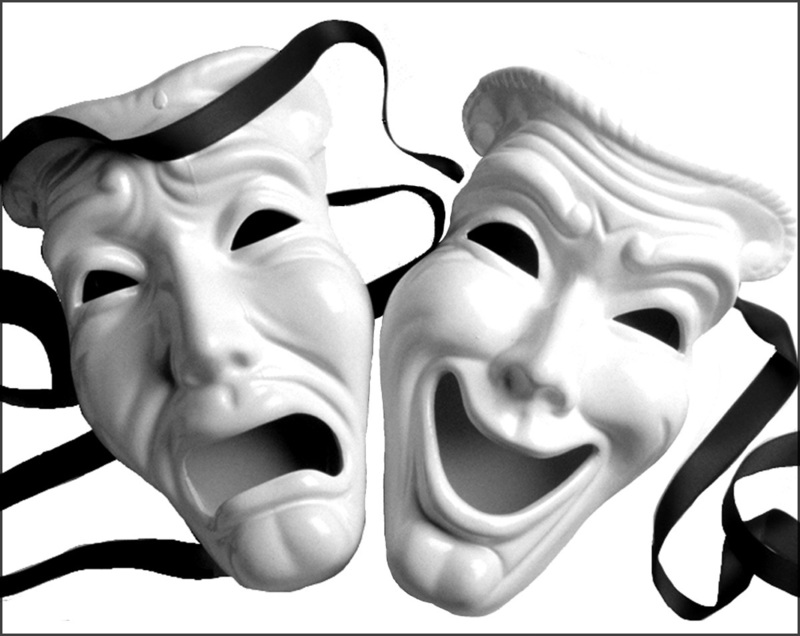 There are two types of auditions you can run. In the first, you provide actors samples of your script ('sides'). They'll rehearse the parts on their own, attend your audition and perform them for you. Keep your sides short, maybe one or two pages. If an actor knows what they're doing, they can prove it in very few lines. In the second kind of audition, you don't have to provide any materials. Actors come in with audition pieces they've memorized from other films and plays. The characters they perform might not match the ones in your IPP, but the trade off is seeing your potential actors do a part they've been able to practice and perfect. So choose the type of auditions you want to run and announce that on your notice. When actors start getting in touch with you, make up your audition schedule. 15 minute time slots usually work well. The actors will perform their pieces. Hopefully you're wow'd, maybe not. Be gentle. Auditioning is a scary, emotionally intense thing to do. Give them a bit of direction after their first performance - this gives them another kick at the can, plus it lets you see how well they can absorb your instructions. Let them do their piece again and see how it goes. At the end of it all, go for a drink, mull things over, sleep on it, then choose who will play which part. Make some calls to references (actors should give you their Acting Resume and Headshot at the audition) to ensure you're not hiring a psycho. Unless you like having psychos on your team. You psycho, you. And when all your actors are confirmed, be a decent human being and call the people who didn't make the cut. Just say, "I really appreciated your audition, but didn't think you were right for this part." They'll be glad you let them know. Or they'll be mad; in which case, hang up. Now you're off to the IPP races with your team of experienced actors. I hope this is helpful if you're considering using actors for your IPP. Possibly I'm completely wrong. Check in with other people in CreComm who have acting experience - Lauren Kayley, Mike Trakalo and Josh Alao come to mind (I'm sure there are more - let me know and I'll add your name). Break legs! I'm cheering for you!